This section features beach houses throughout the greater Santa Barbara area, including ocean front houses in Northern Ventura County and bluff front homes in areas such as the Santa Barbara Mesa and Hope Ranch. The beaches houses featured here already have fantastic views and beach access, so the links are generally not repeated in the Ocean Walk and Ocean View sections further below. Exceptional bluff front estates line the Santa Barbara Mesa. Just to the West of the Mesa, Hope Ranch include some of the finest bluff front properties in the world. If you are more of a "toes in the sand" person, you may wish to consider the sections featuring Montecito houses or Carpinteria real estate. Montecito MLS listings include some of the most sought-after properties in the world, particularlyMontecito beach houses.Summerland ocean front real estate includes a mixture of bluff front properties and beach properties. Both communities have their own commercial districts with shops and fine dining. Most Goleta beach properties are bluff front, with many of them being near the UCSB campus. These homes are often used as student rentals and generate impressive income. Further the Northwest of these Goleta homes is the Gaviota Coast, featuring large coastal ranches and occasional ocean front homes. 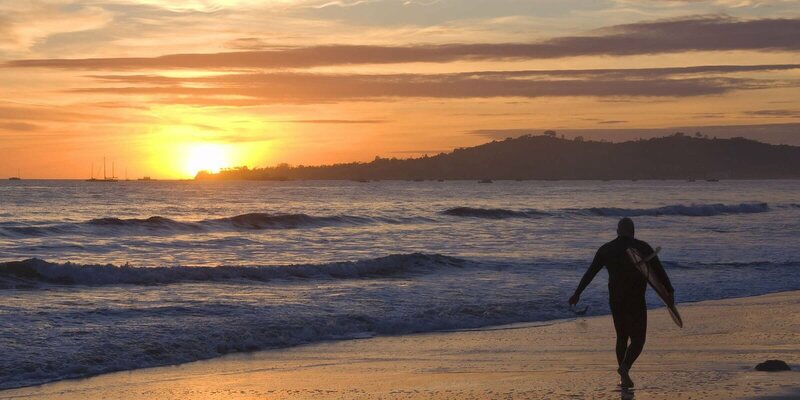 Many fine beach communities are located between the coastal towns of Summerland and Carpinteria. These enclaves include Padaro Lane, Beach Club, Santa Claus Lane, Sand Point, Casa Blanca and Sandyland Cove. These communities arejust a short drive to either Santa Barbara or Carpinteria. The two most Southern coastal communities in Santa Barbara County are Carpinteria and Rincon Point. 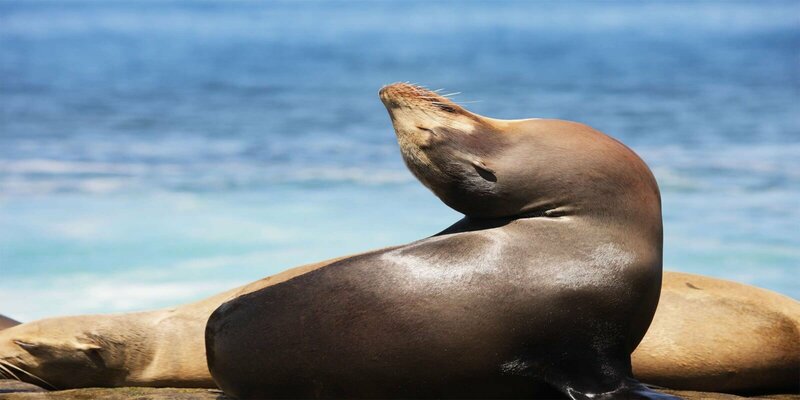 Carpinteria ocean front estatesenjoy a short walk to various nature preserves, tar pits, and a harbor seal rookery. Rincon Point is a gated ocean front community famous for its great surfing conditions. South of Rincon Point, and just withinVentura County, are the ocean front communities of Muscle Shoals, Rincon Beach,and Solimar Beach, in addition to some unnamed clusters of homes along Pacific Coast Highway.Getting an ocean front estate in Northern Ventura County is a great way a Santa Barbara area beach house property at a fraction of the normal cost. One of the best things about living in this area is being able to walk to beautiful, wonderful locations. Even if you don't own a home directly on the sand, it's easy to live within a few blocks to the beach, and that usually means you're within a short walk to many other wonderful things as well. The section below lists the major areas where ocean walk properties are common. 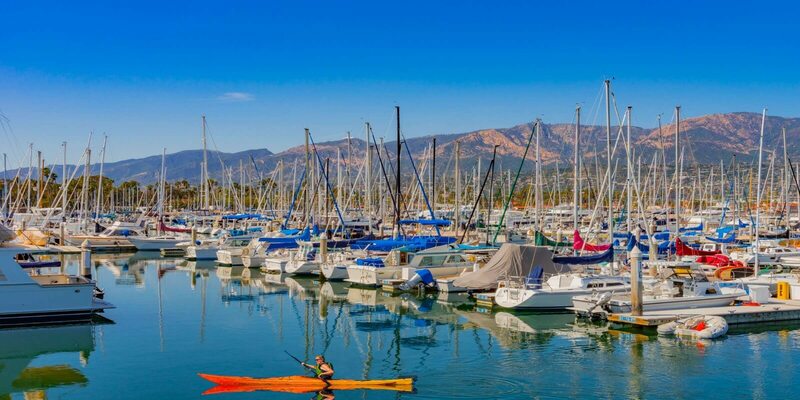 The harbor area of Santa Barbara is a wonderful place visit or live. 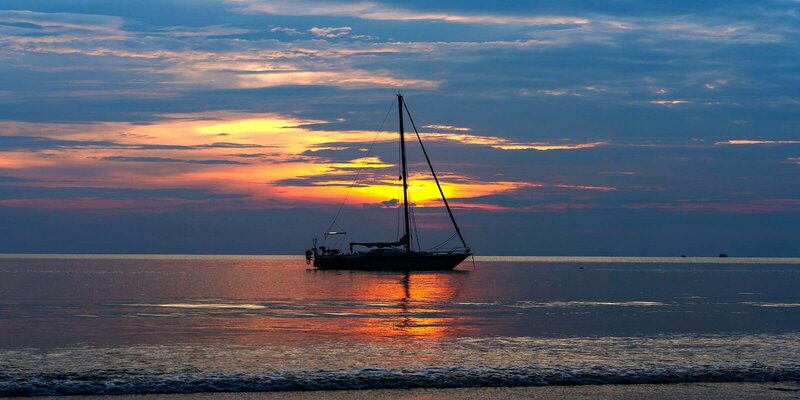 Its main areas include West Beach, Stern's Warf, the boat harbor itself, and East Beach. Various restaurants, museums, shops, and hotels can be found throughout this area. 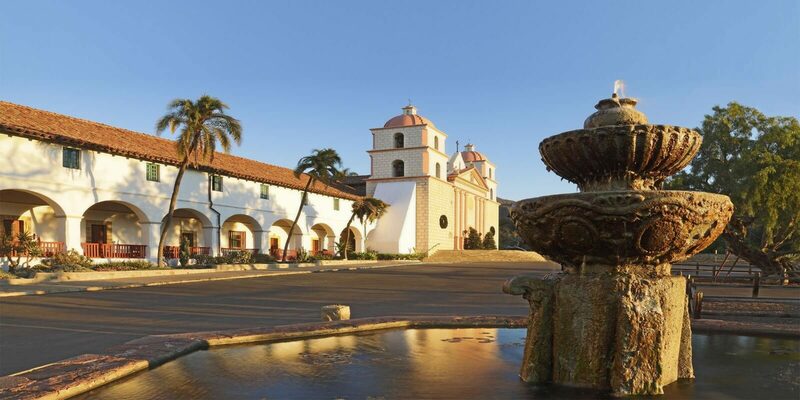 Santa Barbara homes here are popular both with part time and full time residents. Santa Barbara condos, particularly luxury condos, are common in the Harbor area. The Mesa is an elevated area that comprises the Westside of coastal Santa Barbara. The Mesa itself is divided into three areas: West Mesa, East Mesa, and the Upper Mesa (or Mesa Alta). West Mesa is a rather quiet, low key area. East Mesa has multiple paths leading down to the beach and enjoys two bluff front parks. The Upper Mesa is more inland, but also high, and offers great views. Montecitoproperties are all unincorporated, but these still enjoy two commercial centers: Upper Village and Lower Village. The Montecito houses and condos near Lower Village feature world-class shops and restaurants, in addition to being just a short walk to the ocean. 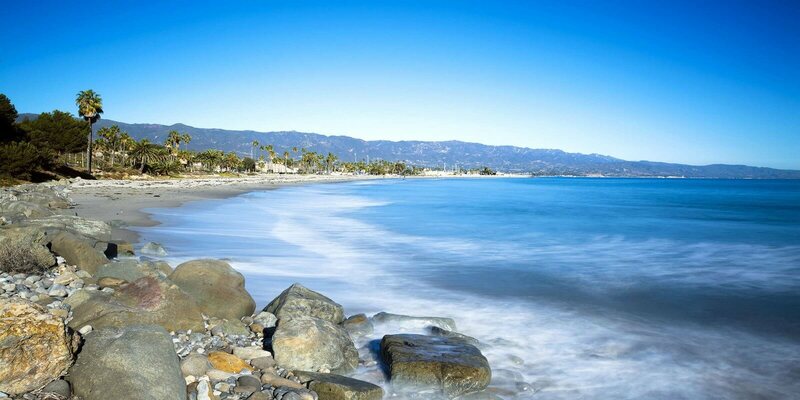 The beach areas themselves feature luxury resorts, as well as Montecito condos in various gated communities. Some Goleta houses and condos are within a brief walk to the beach. In particular, the many of the properties of Island Vista, a neighborhood within Goleta near UCSB, are close to the bluffs.To the Northwest of these Goleta properties is mostly undeveloped coastline known as the Gaviota Coast, comprised mainly of large ranches and occasional clusters of homes with beach access. Of all communities that comprise Santa Barbara real estate, Summerland has some of the most impressive ocean views. Summerland homes also have access to wonderful restaurants andcharming crafts stores. One of the open secrets of the area is the Summerland Beach. With seldom more than a few people on it, this beach is one of the most idyllic walks in the area. Most Carpinteria houses and condos are within a short walk to the beach. 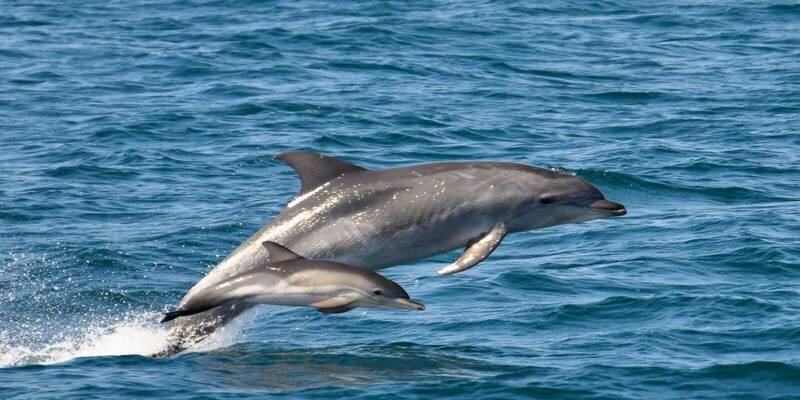 TheseCarpinteria propertiesenjoy restaurants, shops, a museum, tar pits, andnumerous nature preserves. Southeast of these Carpinteria homes is the gated beach community of Rincon Point, known for its great surfing conditions. Few things inspire people like a great ocean view. 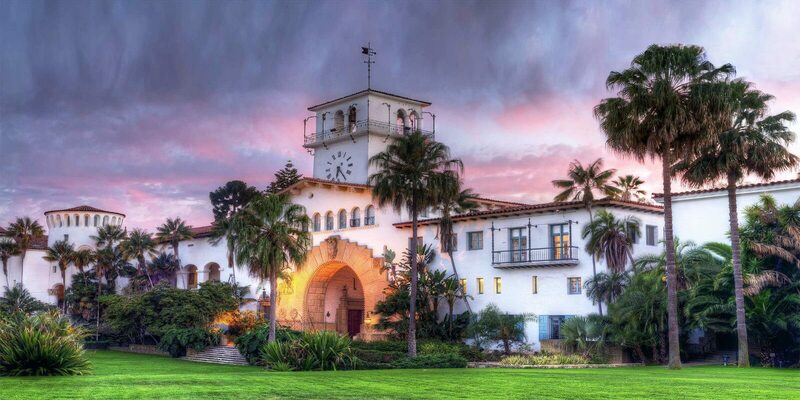 Needless to say, the views from Santa Barbara properties have inspired many people over the years. 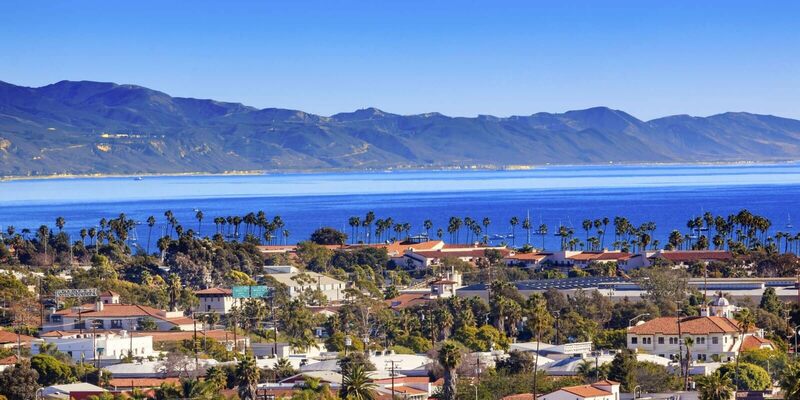 It's common for Santa Barbara homes to have at least a little peek of the ocean, but the sections below feature only Santa Barbara houses and condos that have exceptional views; views that you can look forward to enjoying for many years to come! The hills to the East and Northeast of Santa Barbara are known as the Riviera. Santa Barbara houses of the Riviera are divided into the Upper and Lower Riviera. Lower Riviera homes often have pleasant views of the ocean and harbor. The Upper Rivera homes are significantly higher in elevation, with manyof them having impressive, sweeping views of the city and ocean. Santa Barbara houses and condos in Northern and Western areas of townoften have strong ocean views. Mission Hill is one such area to the North, while the Mesa is located to the West. A few additional neighborhoods adjacent to these areas, such as Bel Air Knolls and the San Marcos Foothills,also feature homes with exceptional ocean vistas. Montecito real estate is known for its manycelebrity residentsand fine luxury homes. The Montecito estates located in the Foothills enjoy some of the most picturesque settings and sweeping ocean views in all of Southern California. Multiple acres of land, fine construction, peaceful serenity, and near-panoramic views are common features of these Montecito homes. 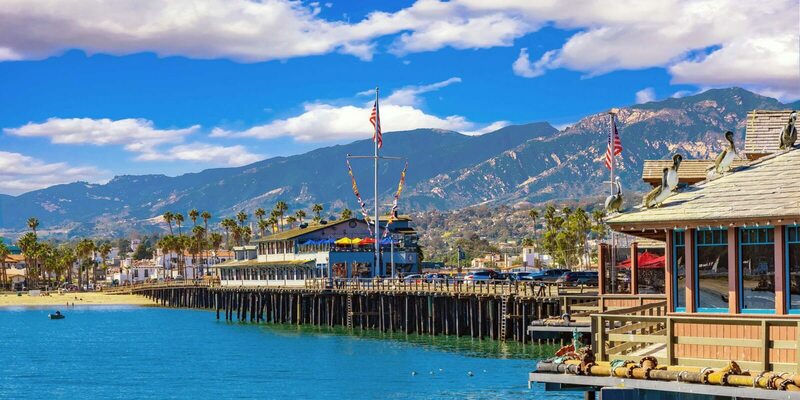 This section includes all Santa Barbara real estate in the county, located Northwest and West of town.This area includes ocean view properties in Goleta, Old San Marcos Road, Highway 154 (San Marcos Pass), and the Gaviota Coast. This broad geographic area of ocean view homes also spans a broad range of building styles and access to various attractions and amenities. Hope Ranch real estate is similar to Montecito estates in that it is an enclave of luxury and serenity. Hope Ranchhouses exists in an association of homeowners and feature a gated beach, 24/7 security patrols, tennis courts, underground power lines, and over 20 miles of hiking and horse hiding trails. Most Hope Ranch properties are impressive estate homes with multiple acres of land. 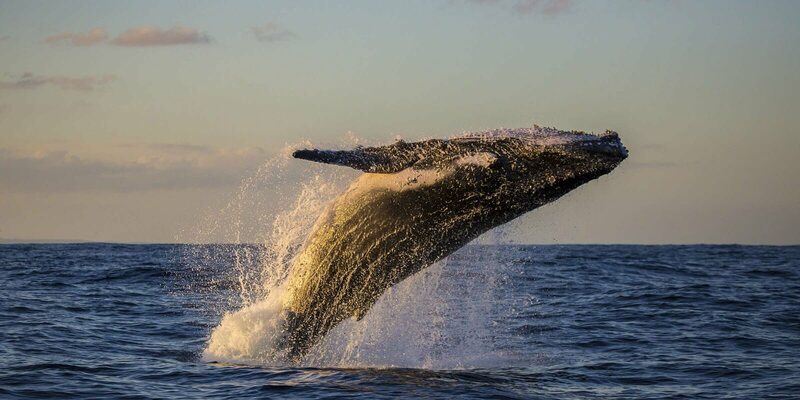 Summerland is renowned for its up close, big views of the ocean. Not to be outdone, the foothills of Carpinteria contain many properties with exceptional ocean vistas. 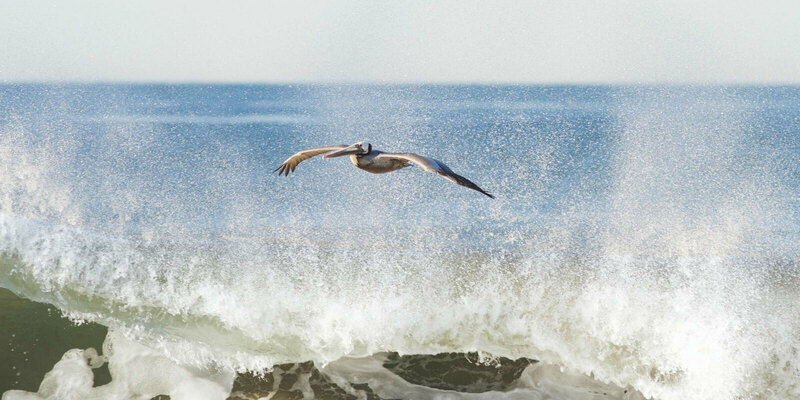 Both Carpinteria real estate and Summerland real estate enjoy charming downtown areas and access to exceptionally scenic beaches. Below are links to fine homes in excess of $10,000,000. 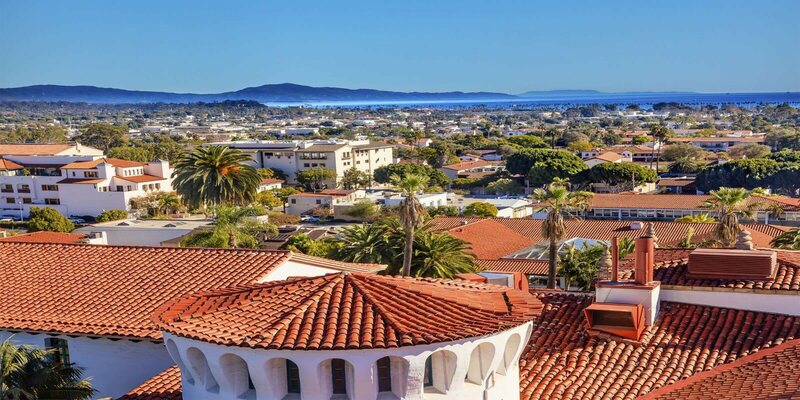 The greater Santa Barbara area features particularly renowned real estate, such as Hope Ranch homes, Montecito estates, and the many beach housesbetweenSummerland and Carpinteria. Owning a luxury homehere is not only an investment in lifestyle, but an investment in one of the historically best performing real estate markets in the world. It's hard to top the lifestyle of owning a Santa Barbara beach house. Enjoy sunny skies and moderately warm weather almost every day of the year. 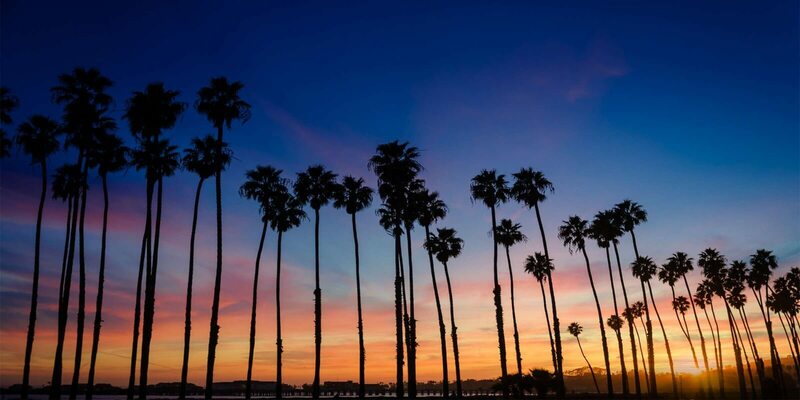 There is nothing quite like life by the beach, and the nearby Channel Islands affording a level of protection and moderation from winds.The friendly locals, fine dining, high culture, and pleasantly warm days found in Santa Barbara are known around the world. This section stoplights Santa Barbara real estate that boastsmore than 10,000 square feet of living space. Many of these properties are compounds that includemultiple guest homes, pool cabanas, and apartments for employees. One of the most common requests I get is to help people find family compounds. Linked here are my top recommendations for such properties listed on the Santa Barbara MLS. Linked here are Santa Barbara estates of high value that have at least 3 acres of land. Some of these properties hold the majority of their valuedue to location or sheer acreage, while others are luxurious properties with impressive estate homes, guest homes, and other facilities. While almost any Santa Barbara property is a good investment, there is nothing like an estate with ample acreage.